Businesses and universities are hiring people with Linux skills, deploying Linux on servers to save money, and even evaluating Linux on the desktop. Microsoft's pricing and security policies have made Linux an attractive alternative. Linux's open source nature makes it an excellent tool for teaching. Linux now comes with free alternatives to Internet Explorer and Microsoft Office which work well enough for the average user. University IT departments should start planning to support Linux on the desktop in recognition of its increased importance. How are universities using Linux? The overwhelming demand both by industry and students (as related to me by faculty) at the undergrad level is for the use of PCs with Windows. We know Linux is coming, but our CS department does not (yet) plan to base a lab on it. If you can make a case for Linux, please do so, we'd like to hear it. Because universities must to some extent prepare their students for the real world, let's start by looking at Linux in the job market and in four segments of the world operating system market -- clusters, servers, embedded systems, and desktops. One way to estimate demand for Linux skills in Los Angeles is by searching the popular online job databases Monster.com and Dice.com. As many ads don't mention Windows by name, the keywords "mcse .net visual microsoft windows win32 win2k winxp" were used to identify Windows-related jobs. Likewise, the keywords "linux unix bsd" were used to identify Linux-related jobs. (Unix is of interest because Linux complies with the Unix standard, and is interchangable with Unix in most respects). For comparison, the keywords "java j2ee jdk" were used to identify Java-related jobs. Interest in Linux-related technologies was surprisingly high, about half as high as interest in Windows-related technologies. Linux's strong suits - low cost, reliability, ease of remote management, open source, customizability, high performance, and POSIX conformance - make it easy to put together supercomputers from clusters of cheap PC's. The first such cluster, named Beowulf, was built in 1994, and these clusters are now often called Beowulf clusters in its honor. They are also more stuffily known as "High Performance Computing clusters". Of 100 clusters listed at the supercomputer database www.topclusters.org, 87 are based on Linux, 8 on Solaris, 4 on Tru64 Unix, and 3 on Windows. According to the director of the 2000-computer cluster at SUNY Buffalo, Linux makes its 2000-computer cluster more affordable, reliable, and easy to manage. That cluster and others like it were built by Dell and designed to run Linux. And according to market research firm IDC, Unix and Linux each represented half of the total year 2000 revenue in the high performance computing market, and "... there is still room for Linux to grow". SUNY Buffalo has several clusters; the largest has 2000 PCs. (See their press clippings.) Dell is building their 2000 PC cluster for them. Vanderbilt University has a 55 PC cluster -- and is building a 1000 PC cluster. See also linuxhpc.org for more information. It appears that Linux is the most popular choice when building high performance clusters these days, and its popularity is increasing, thanks to the efforts of companies like Dell and LinuxNetworx. According to a recent Morgan Stanley survey of CIOs, 29 percent of companies are now using Linux servers. All four top computer manufacturers -- IBM, Sun, HP, and Dell -- are now working hard to sell Linux servers despite their previous devotion to more expensive proprietary operating systems. And Oracle, Dell, Red Hat, and HP are working together to sell and support Oracle/Linux systems. It looks as though the battle for the server market is being won by Linux. It was reported recently that most Wall Street trading operations are converting to the open source operating system. This may not sound important but, for those like me who keep an eye on the markets, it is relevant. Some IT market sectors are strong technology validators and lead the way in adoption. Wall Street traders make up such a sector. One in five servers, computers that handle Internet traffic and corporate networks, ran on Linux among those sold last year, and the software is expected to gain market share. The economic downturn has been brutal ... But Linux ... is more than just surviving. It's becoming a player, gaining favour with budget-conscious, old-line companies drawn by its performance improvements and lack of licensing costs. Today Linux has become the hottest thing in corporate America since e-mail and maybe even Windows itself. ... companies like Boeing, Amazon.com, E*Trade Financial, DreamWorks, Google, and virtually every major Wall Street firm have either finished reconfiguring big chunks of their servers to run Linux or are in the process of doing so. General Motors says it is likely to do the same in a year or so. Even the Chinese and German governments, along with about two dozen other countries, are taking a look at how they can save money by using Linux in their infrastructures. This conversion is already causing reverberations throughout the high-tech world. For the year ended June 30, the number of servers sold with Linux as the operating system grew 18%, while those sold with Windows grew only 3% ..., according to research group IDC. IBM says that contracts for its Linux integration and support services now number around 800, compared with 95 only 15 months ago. And Dell and HP say they will sell 15% to 18% of their servers this year with Linux preinstalled, up from less than 10% last year. Chafing under what they call the "Microsoft tax" -- license fees collected each time they upgrade personal computers and server networks -- customers from the government of China to Europe's Ford Motor Co. division are switching to free software systems. Linux's penguin logo is cropping up all over. "Developing countries, software developers, [and] schools are embracing Linux more," says Phil Mogavero, president of Data Systems Worldwide, technology consultants. "Linux has the capability of creating a paradigm shift." Oracle is taking everything, and I mean everything, it has from the core servers to the desktop to Linux. ... Amazon.com runs its shopping carts off Oracle on Linux. You want to talk mission-critical? What could be more business mission-critical? ... For the first time I can say that Linux, just as much as Solaris, Windows 2000, HP/UX OS/400 or AIX, is a mainstream enterprise operating system. The day was long in coming, but it's here. This isn't just my opinion; this is a business fact. Momentum to migrate from Microsoft Corp. products to open-source software is rapidly gaining in Germany, where numerous companies are reacting to the U.S. software giant's licensing policy. Small and medium-size businesses, in particular, have begun to replace as much Microsoft software as possible with open-source options such as Linux in an effort to slash IT costs, according to IT managers at the LinuxWorld conference and exhibition in Frankfurt. IDC reports that Linux's share of the server OS market went from 0.5% in 1995 to 25% in 2001, making Linux the #2 server operating system worldwide -- and the only credible threat to the market leader, Microsoft. IDC says Linux's market share on the desktop has increased every year since 1995, and currently stands at about 1.7% or 3.8% (depending on which quote you believe). This makes hardly a dent in Microsoft's effective monopoly on the PC market. Yet according to a recent survey by ZDNet, 58% of companies would switch to Linux on the desktop immediately -- if applications were available. This is what economists call "the application barrier to entry" for new operating systems: users won't use a new operating system without applications, and software companies won't write applications for a new operating system without users. Looking only at the market share numbers, one might conclude that Linux had won in clusters, was seriously challenging Windows on servers and embedded systems, and had lost miserably on the desktop. But there's more to the story than last year's market share numbers. Four major events have conspired to prepare Linux for another leap forward: desktop software for Linux is now available, Microsoft is raising prices, computers are becoming inexpensive, and dozens of governments around the world are considering switching to open systems. The seeds for Linux's current wide popularity on the server side were sown by the release of server applications like Apache, Oracle, DB2, Lotus Notes, and SAP for Linux in the late 1990s. These releases should make Linux much more palatable to the average consumer. In addition, the certification of Red Hat, Mandrake, Suse, and Caldera Linux as Linux Standard Base 1.2 compliant mitigated fears that Linux would fragment into incompatible versions (as Unix did in the 90s). Applications that comply with the LSB will install and run properly on all LSB-compliant versions of Linux. Microsoft pushed corporate customers into leasing software instead of buying it, setting a deadline of July 31st, 2002 for the switch to what they called "Licensing 6". This raised annual costs for the average corporation by 30% to 100% -- and because the customer no longer owns the software, it can't be used after the lease is up. Microsoft turned to copy protection to enforce its license agreements. This means that things that seemed fair to users, e.g. using the same copy of Windows for both home and office, are no longer possible. Microsoft increased its harassment of customers with audits by the Microsoft-funded Business Software Alliance. [Gartner analyst Tom] Bittman sees other repercussions of the Licensing 6 plan, one that is likely to hurt sales. "There are more questions about Linux now -- as in, 'Should I be considering it?' -- than there were before," he said. He credited this shift to customers seeking lower-cost alternatives to Licensing 6. Analysts estimate that as many as 60 percent or more of eligible customers chose not to sign up for the controversial licensing programme before the 31 July deadline. Further evidence of a backlash comes from the Australian Government, which is organizing a set of briefings for government CIOs about Linux. See also AAX's "2003 And Beyond" for a good summary of the state of affairs. Finally, even commercial analysts like Gartner now recognize the backlash, and offer research reports on the subject. In spite of the fact that the price of a given amount of computing power falls 27% annually, the price of the average entry-level personal computer remained over $1000 for many years. However, recently consumers' appetite for speed appears to be diminishing, and less expensive computers are becoming much more popular; many retail chains offer very good computers for less than $600. Between 1981 and today, the price for Microsoft's entry-level operating system has risen from $5 per computer to roughly $90 per computer. Thus as a percentage of the price of an entry-level computer, Microsoft's entry-level operating system price has risen during the period 1981 - 2002 from below 1% to about 15%. Profit margins in the personal computer market are notoriously thin, and the possibility of 15% higher profit margins may prove irresistible. Indeed, Wal-Mart and Fry's have already begun to offer Linux-equipped computers. "More than two dozen countries in Asia, Europe and Latin America, including China and Germany, are now encouraging their government agencies to use 'open source' software - developed by communities of programmers who distribute the code without charge and donate their labor to cooperatively debug, modify and otherwise improve the software. The best known of these projects is Linux..."
Germany's Interior Minister, Otto Schilly, said the move would help cut costs and improve security in the nation's computer networks. "We are raising computer security by avoiding a monoculture, and we are lowering dependence on a single supplier," he said in a statement. "And so we are a leader in creating more diversity in the computer field." The plan aims to establish a software development infrastructure based on free and open source and lay a solid foundation for Taiwan's software industry. It includes the creation of a "Chinese Open Source Software Environment", international cooperation on free application software development, and work with community colleges and non-government organizations to establish six training centers to train 9,600 teachers and 120,000 users the basics of free software. Also, the national education system will switch to Open Source in order to provide a diverse IT education environment and ensure the people's rights to the freedom of information. Also, China is turning to Linux to combat software piracy, reduce software costs, and increase national security, and Pakistan has created a Linux Task Force as a cornerstone of its anti-piracy initiative. The move toward open source by these foreign governments should noticeably increase the number of developers working on Linux, and accelerate its progress in the market. As shown above, Linux is becoming extremely popular in the real world. It naturally follows that there's a growing need in industry for Linux-savvy graduates. An obvious conclusion might be "Universities should create Linux-based programming courses for some CS students". That's true, but there's a lot more universities should consider doing with Linux. Since the best way to learn an environment is to use it for day-to-day work, universities that want CS students to be well-prepared for Linux in the workplace should consider supporting Linux in general, for any student that wants to use it. For instance, if students want to use Linux to write English term papers or connect to their dorm network, that should be okay, because setting up and running one's own home Linux system can teach a lot more than just occasional exposure to Linux in a lab. Let's look at these benefits in more detail. The TCO (Total Cost of Ownership) of Linux on Intel is much lower than that of Unix on RISC -- and may even be lower than that of Windows. "The cost of running Linux is roughly 40% that of Microsoft Windows, and only 14% that of Sun Microsystem's Solaris... Most of the savings with Linux come from software licensing fees. ... The larger the deployment, the greater the savings: One of the companies in the study had deployed [a single copy of Linux on] more than 10,000 Linux nodes. Linux, along with Solaris, also came out ahead of Windows in terms of administration costs, despite the fact that it's less expensive to hire Windows system administrators. ..."
IDC agrees that Linux on Intel has a TCO one fifth that of Unix on RISC. According to a survey of corporate IT departments by CMP's TheOpenEnterprise.com, 81% believe that Open Source software such as Linux has lower TCO than proprietary software. Articles by Intel of Canada and Russel Pawlecek of Infoworld list stability, security, ease of management, and lower fees as some of the reasons for Linux's lower TCO. Microsoft recently claimed that Windows has a lower TCO than Linux, but as Joe Barr points out, that study was done before the Licensing 6.0 price increases, and was already out of date before it was published. Some universities expend considerable effort making sure all computers have the proper licenses. Each computer must have a license for Windows itself, for any upgrades to Windows, for each Microsoft program such as Microsoft Office or Visual C++, and for each Windows server the computer connects to. Without careful tracking, universities have no way of proving that they are not running pirated copies of Microsoft software. This is more than just a theoretical problem, because the Microsoft-funded Business Software Alliance routinely audits schools and universities for compliance, and collects fines from organizations which are out of compliance. For instance, the BSA fined Temple University $100,000 and the Los Angeles Unified School District $300,000 for noncompliance. According to UCLA's Information Technology Planning Board, "noncompliance is a potentially huge vulnerability". The alternative presented by Linux and Open Source in general is refreshingly simple by comparison: universities may use and distribute Linux as much as they like, free of charge, forever. Linux has a reputation for reliability. Linux systems commonly go months or years between reboots (see e.g. the uptime graph for www.suse.de). IT pros navigating a minefield of insecure software and systems are finding safe ground in Linux. That's because the open-source operating system -- in part due to its very openness -- has become a model of security. In 2002, IBM turned to Linux to power its Point Of Sale terminals in retail chains such as Regal Entertainment Group (the largest movie theater operator in the United States), which uses Linux running on IBM hardware at its movie theaters. According to IBM, "the retail sector is interested in Linux because of its stability and security, rather than the fact that it is free." Publication of the source code is also one of the main reasons why Linux can offer greater protection against unauthorized attack from outside than is possible with proprietary software - however paradoxical this may at first seem. While customers with proprietary operating systems are supplied with a kind of 'black box' and have to trust that there are no security loopholes or errors in the coding, "Linux enables every user to inspect the code and thoroughly examine the quality of its functions. This means that any security errors that may exist in the coding can be discovered and eliminated", explains Andreas Hahn, Product Manager at SAP's Linux Lab. This is one factor which, in the light of repeated virus attacks on e-mail systems, for example, is growing in importance among companies and public institutions for both security and cost considerations. "... due to legacy code and resistance to cultural change, Microsoft will not deliver necessary security improvements before 2004". Since Linux includes Apache, enterprises can follow Gartner's advice by using Linux instead of Windows. Software piracy by students is a real problem. According to a survey conducted in 2000, 40% of students surveyed at two public universities admitted to having pirated computer software. The author of the survey concluded that part of the problem was that schools required the use of certain software without providing copies for students to use on their home machines. Universities could avoid this problem by encouraging the use of free Open Source programs such as OpenOffice or The GIMP instead of the proprietary programs Microsoft Office or Photoshop; then students would be free to install as many copies as they liked, and would be less tempted to violate copyright laws. Marist College "involves faculty, students and staff in emerging technology initiatives such as the Linux operating system...", and has established a Linux Research and Development Center. Additionally, Western Carolina University's annual Computer Science Contest for high school students uses a Linux server to provide a uniform programming environment for an unlimited number of remote students competing from home -- without worrying about client access licenses. According to Jeff Williams of Concordia University Wisconsin, even an "Intro to Computer Applications" course can benefit from Linux, because exposing students to alternate office software packages helps teach concepts rather than just applications, and thus prepare students to learn and use any office software rather than just one particular package. Last but not least, being familiar with Open Source software development techniques and communities is becoming a vital skill for software engineers who are using Linux and other Open Source software. I have written a separate essay, The Undergrad CS Program, Linux, and Open Source, about the adjustments that need to be made in university computer science curricula to adapt to a world in which Linux and Open Source are important parts of the software engineering profession. In the past, the following objections to the adoption of Linux were often heard. Some of them were even true at one time, but now they are all more or less just myths. Myth: "Non-Microsoft office products are either buggy or only used by geeks"
Fact: Linux comes with excellent office software, e.g. OpenOffice, Abiword, and Gnumeric, all of which are stable and pleasant to use, even for non-geeks. Myth: "If I use Linux, I'll have trouble opening files people email me, or vice versa"
Fact: if you need 100% interoperability, you can run Microsoft Office on Linux -- but most people will find the 99% compatibility currently offered by Linux's free office software sufficient. Myth: "Linux support is poor because there's no big company behind it"
Fact: Free community-based Linux support is so good it received the InfoWorld award for "Best Technical Support" in 1997. Linux vendors like Red Hat and Suse support their products well. And great third-party commercial support is available for Linux from many companies, including HP and IBM. Myth: "Only major corporations can be held accountable for problems"
Fact: Companies like Red Hat that sell both Linux and Linux support services stand behind their product; not only are they more nimble than huge companies like Microsoft, but they also may even be easier to hold accountable. "LINUX is making inroads into the nation's universities, pushing Windows, Unix and Apple operating systems off the desktops of first-year IT students." Furthermore, surveys of Linux use on campus, university job ads, and university web sites confirm that Linux has a solid foothold in universities. See also Linux Terminal Server Project, System Imager, and Luca's Best Practices talk. Based on the survey data, we believe the MIT community is ready to embrace Linux as a third desktop operating system. Users and system administrators alike appreciate its low cost, flexibility and many applications. Linux is already being used by a wide variety of customers whose support needs are not being adequately met through current channels. We therefore recommended supporting Linux as a third desktop operating system. As a result, they are ramping up their free support of Linux, starting with student laptops, and are offering two levels of fee-based Linux training. The discovery process MIT went through during this study might be a good model for other universities considering whether to support Linux on the desktop. MIT: 22% of students used Linux on their primary computer in 2000. New Mexico Tech: 20% of faculty used Linux or Unix on their office computer in 2002. North Carolina State University: 15% of respondents preferred Linux when using lab computers in 2002. University of Maryland: 13% of the respondents used Linux or Unix at work in Fall 2002. University of Minnesota: 10% of CS undergrads ran Linux on their PCs in early 2001. UC Santa Cruz: 9% of computer lab users preferred Linux or Solaris in 2002, and 13% of faculty used Linux or Unix on their own computers in 2002. University of Texas: 8% of the respondents used Linux in Fall 2000. Bristol University: 7-8% of the respondents used Linux in summer 2000, 2001, and 2002. Harvard: 4% of students used Linux in 2001. UC Davis: 2% of students who owned a computer ran Linux on it in 2002. North Carolina State University: 1.6% of freshmen surveyed in summer 2002 used Linux as their primary OS (up from 1.1% in 2001). 5.9% of freshmen said they were comfortable with Linux (up from 5.0% in 2001). Loughborough University: 0.6% of students preferred Linux in 2001. Another way to gauge university interest in Linux is to search popular university-specific job boards for Linux-related jobs. Linux skills appear to be mentioned about half as often as Windows skills on these boards, which is surprisingly high. It looks like Duke, Yale, and MIT are ahead of the pack in use of Linux. Given the current dominance of Microsoft Windows and the groundswell of support for Linux, it seems prudent for universities to plan for a mixed environment of Linux and Windows, with an increasing number of Linux desktop users. This is essentially the course MIT is taking; the central principle is peaceful coexistence of multiple operating systems, with faculty, staff, and students having the freedom to to choose between Linux or Windows for their laptops and PCs. Achieving this may require adjustments in how the university provides hardware and software to students, in the formats and protocols used to exchange data, and in support. Wal-Mart offers a choice of inexpensive Linux desktop machines -- some as low as $199. EmperorLinux sells Linux preloaded on laptops from IBM, Sony, and Dell. LinuxCertified sells Linux preloaded on laptops. Open-PC is a small outfit quite happy to preload Linux on its laptops and desktops. HP sells a low-cost Linux laptop - but only in Thailand. Fen Systems is a good example of a local educational Linux VAR (value added retailer). They provide and support Linux servers and desktops for schools in the UK -- and can even manage them remotely. email: SMTP and IMAP are open protocols used by desktop email clients to access email from university mail servers; MAPI is Microsoft-specific, and should be avoided. web: standard HTML works fine with both IE6 and Mozilla. IE-specific tags should be avoided. Web pages should be validated to be HTML compliant, and tested with both IE and Mozilla. Perhaps the biggest obstacle to adoption of Linux at most universities is the issue of providing support to end users. Initially, the university computer help desk might simply refer users to local sources of community support for Linux (e.g. nearby Linux User Groups). As the number of Linux users increases, it will become important to have one or more help desk staff members who can handle Linux support questions. See MIT's report on how they ramped up their Linux support offerings. Providing Linux training will also become important. Just as some people now need classes in Microsoft Office or Windows XP, so will they need classes in OpenOffice or Linux. Initially, the local Linux Users Group may be able to set up introductory classes, but eventually the university should consider setting up more structured training offerings for students, staff, and faculty. Another way to give users freedom of choice in operating systems is for the university to avoid requiring the use of software that runs on Windows but not Linux. For instance, if the university requires students to use Internet Explorer to access class info, for instance, students won't be able to use Linux, because Internet Explorer doesn't run on Linux. There are two ways around this problem. First, for several popular programs that don't run on Linux, there exist free alternatives that run both on Linux and on Windows. Second, free emulators can sometimes let Windows software run on Linux, or vice versa. Free substitutes for Internet Explorer include Mozilla and Netscape 7.0. Sun commissioned the NCC (a British center devoted to promoting computer use) to do an independent evaluation of StarOffice 6; the study found that "StarOffice offers obvious benefits in very cost-sensitive areas", but that interoperability with Microsoft Office was not perfect. A UC Berkeley usability study comparing StarOffice 6.0 Calc Beta to MS Excel found that "[study] participants... were pleasantly surprised at its general overall usability". Consulting Times tested document compatibility between StarOffice and other packages. An update is now available for StarOffice 6.0 that may solve some of the problems identified in the above reviews. Also, OpenOffice 1.1 / StarOffice 6.1 will soon be available, and their release candidates appear to come a lot closer to full Microsoft Office compatibility. To the delight of many Linux users, the Cygwin Project has ported the crucial Linux APIs and compilers to Windows. As a result, nearly all Linux software can be recompiled to run properly under Windows with little or no change. In effect, installing Cygwin turns a Windows system into a Linux system (albeit a somewhat strange one). This technique works quite well for commandline Linux tools and network services, and less well for GUI tools, although not all of them have yet been ported to compile under Cygwin. This option will chiefly appeal to software developers until the full range of Linux GUI programs have been ported to run properly under Cygwin. Wine is a free Windows emulator for Linux -- well, more accurately, it is an independent re-implementation of the Windows APIs, hence its official name, "Wine Is Not an Emulator". It is being developed by a large team of volunteers loosely called the Wine Project. Wine can run some Windows programs, and is included with most distributions of Linux, but is not yet quite polished enough for general use. Two companies provide commercial support for Wine in the form of polished packaged product. Codeweavers sells two versions of Wine: one that runs ActiveX plugins, and one that runs Microsoft Office and Quicken. (And they do offer educational discounts.) TransGaming sells a version that supports 150 popular Windows games. Both of these companies are generous and frequent contributers of source code to the Wine project. Linux is succeeding in the server market, and will probably soon succeed on the desktop. Linux is in increasing use in embedded systems, and has a reputation for superior stability and security. Countries around the world are turning to Linux to solve financial, technical, and political problems with proprietary software. Companies around the world are evaluating Linux as an alternative to Microsoft ever since Microsoft's recent ham-handed price increases. In Los Angeles, Linux-related jobs appear to be at least half as plentiful as Windows-related jobs. Wal-Mart is selling Linux computers for $200, and free high-quality office software for Linux is making Linux accessible to non-geeks. At MIT, 22% of the student body uses Linux, and MIT now supports Linux on student laptops. seek out good sources of information about Linux, e.g. Linux Weekly News and TheOpenEnterprise.com, and look for ideas about planning Linux deployment, e.g. the recent article by ZDNet Australia. Universities which do these things will better prepare their students for the real world, find themselves in a stronger bargaining position when it's time to renew their contracts with Microsoft, and spend less money on software and computer security problems. SchoolForge - umbrella group for organizations using Open Source in primary and secondary education. SEUL/edu - mailing list for Linux in Education; catalog of free educational software; case studies. ACM Computing Curricula 2001 - curricular guidelines for undergraduate programs in computing. Open Source Software Institute - a non-profit organization of corporate, government and academic representatives devoted to promoting open-source software solutions in government and academia. TheOpenEnterprise.com - CMP's site about Open Source in business. "Provides open-source intelligence for enterprise IT organizations." stay-legal.org - "Stay Legal - Use Free Software"
Overview on Modern Operating Systems - by Carlo Fonda. Quick presentation about why Linux is good for education and science. Linux & Learning at eschoolnews.com. "From old school to‘GNU school: Quietly, a revolution is taking place in K-12 schools..."
Too Close For Comfort? - "Some experts fear that ties between Microsoft and Blackboard could diminish colleges' choices". November 2001, "The Chronicle of Higher Education"
IBM Scholars Program - IBM's university program. Free access to lots of IBM software and support. See the FAQ. Mandrake Campus - Beginner tutorials and quizzes. Nice idea, but somewhat limited. I'm interested in how useful you found this document, and how you think it might be improved. Please send comments and suggestions to me at dank@kegel.com. Dan Kegel is a software engineer currently working at Ixia Communications. He has been programming since 1978, and mentoring intern programmers since 1994. 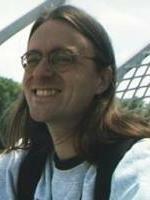 He recently served on the JSR-51 committee which helped add nonblocking I/O and file locking to the Java platform. His web site "The C10K Problem" is well-known among a small circle of internet server programmers, and his comment on the Microsoft antitrust settlement was accepted as one of 43 major Tunney Act comments in the case. He maintains lalugs.org as a service to the Los Angeles Linux community. 9 Oct 2002: links to aful, accel.cornell.edu, gov.pk, Fonda's paper, usnews.com, ucr, fen, new RFG text, bio, spanish translation. 12 Oct 2002: added section "Computers are Becoming Inexpensive"
10 Nov 2002: link to Daniel Johnson's paper and oshca.org. Added Presentations section. 25 Feb 2003: link to aaxnet's "2003 and Beyond"
24 May 2003: link to Thai HP Linux Laptop, remove link to Japanese Toshiba Linux Laptop. New versions of this document will be available at www.kegel.com/linux/edu. Thanks to Rama, Enrique, and Charles! Please contact the author if you want to translate this document into another language. I gave a presentation based on this paper at the 2002 Southern California Linux Expo. Slides and streaming video of the talk are available at www.kegel.com/linux/edu. Permission is granted to copy, distribute and/or modify this document under the terms of the GNU Free Documentation License, Version 1.1; with all sections listed in the original Table of Contents being invariant, the Front-Cover Text being the HTML title, and the Back-Cover Text being the 'Return to kegel.com' link at the bottom. A copy of the license is included in the section entitled "GNU Free Documentation License" below.